The Winter 2019 International Association of Medical Science Educators (IAMSE) Web Seminar Series entitled “The Learning Environment in Health Sciences Education” explored current literature, thought, and best practices regarding the environments in which students and residents in health science disciplines learn. Experts from differing facets of the learning environment, varying professions, and a variety of institutions broadcasted live to viewers around the world in five seminars from January 10, 2019 to February 7, 2019. The Webinar Series began with a presentation by Dr. Larry Gruppen, Professor in the Department of Learning Health Sciences at the University of Michigan Medical School. His webinar provided the framework for subsequent sessions in the series. The authors, declare that they have no conflict of interest. Gruppen L, Irby DM, Durning SJ, Maggio LA. 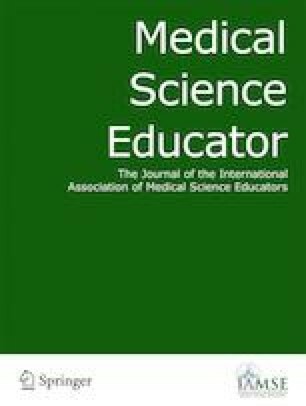 Interventions designed to improve the learning environment in the health professions: a scoping review: MedEdPublish. 2018;7(3):7. https://doi.org/10.15694/mep.2018.0000211.1.